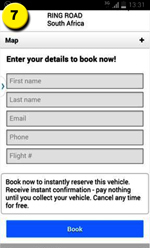 To make a booking using our simple Mobi-Res system, follow the easy instructions below. Depending on what make of Smart Phone you are using, screen displays may vary. 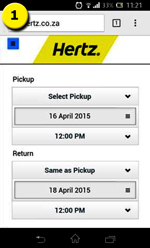 Select pick-up and return locations, dates and times from the dropdown. 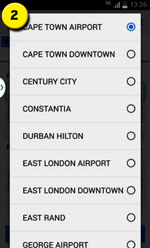 From the dropdown, select your pick-up and drop-off locations within either South Africa or Namibia. 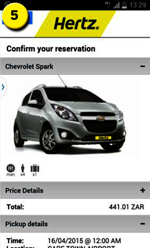 Vehicle search will commence and when loaded, make your selection of vehicle. 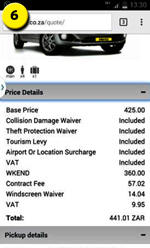 A selection of value-add optional extras will load. Click your selection (if required). To view more detail on any of the above items, click on the + icon in the relevant grey block and the dropdown information will appear. Enter your details to book now! 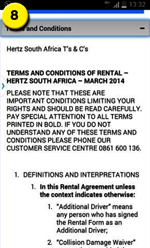 Always view Terms and Conditions. A detailed booking confirmation will now be emailed to the address you have supplied. 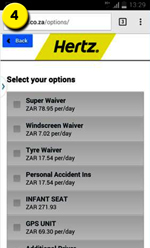 SAVE TIME AT THE COUNTER by completing your details where indicated. 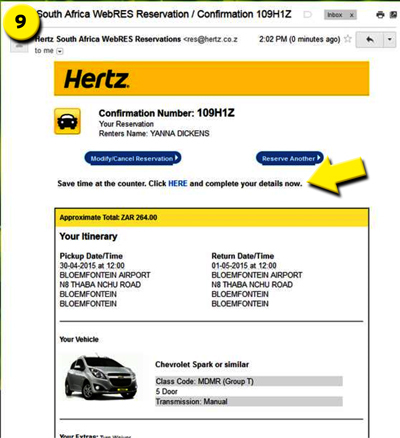 Please read this booking confirmation carefully and should you have any queries, call Hertz central reservations immediately. 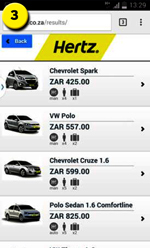 Welcome to the Hertz Rent A Car family. We’d like to take this opportunity to thank you for custom.